Should You Stage Your Home When Selling? Most people put time and effort into staging their homes before selling – getting rid of clutter, planting flowers, and touching up paint. But the use of professional home staging services has grown tremendously in recent years. Many Realtors offer a few hours of professional staging as an added value when they list your home, so be sure to ask! Real estate staging firms provide services as simple as a walk-through consultation, or as complex as furnishing an empty home. Studies have shown that staged homes sell faster, although not necessarily for higher prices. So, should you hire a professional home stager? The decision to hire a stager is something you’ll make in consultation with your listing agent. Consider your lifestyle and local market conditions – in a hot market, homes may already be selling quickly, with multiple offers. However, staged homes garner a lot more interest – their photo-ready interiors look more appealing, especially on the selling agent’s website and online listings. What’s the available inventory for homes similar to yours, in features and price point? Are there deficiencies that can be minimized by creative staging? Are there rooms that have an undefined purpose? Are you in a hurry to sell? 29% of sellers’ agents reported an increase of 1% to 5% of the dollar value offered by buyers, in comparison to similar homes. 21% percent of respondents stated that staging a home increased the dollar value of the home between 6% and 10%. If the home is empty, the rooms can actually appear smaller. Staging the main rooms with furniture helps buyers understand the scale of each space – they can see at a glance how a sectional sofa or dining table will fit. In older homes with small rooms, furniture that’s the right scale makes the spaces feel livable. Instead of unflattering ceiling light, staging adds warm and inviting lamplight to the home. A new, high-tech approach to staging an empty home is Sotheby’s International Realty’s Curate App. Using virtual reality, Curate by Sotheby's International Realty allows consumers to select and place furniture, rugs and lighting into images of empty rooms. It even offers different interior design styles, so users can see how their taste and style will work with the home. Home staging will ensure that your home looks its best while it’s on the market. This is especially helpful when real estate agents show your home without your listing agent there. Prices for staging vary significantly from one city to another. For a large home, you can expect to pay a few thousand dollars a month to have a professionally-decorated, expensively-furnished interior. In a home that’s occupied, personal mementos and clutter can stand in the way of a buyer’s ability to imagine themselves living in the home. When you decide to sell, work closely with your Realtor to transform your home so that it appeals to a buyer, not to your tastes. Your listing agent will alert you to any problem areas and share valuable resources with you, like trusted cleaning services, painters, and staging professionals. Professional help is critical as you prepare your home for sale. Decluttering can be the most difficult part of selling a long-term residence, but it’s a critical part of staging a home. If closets are stuffed and rooms look crowded, buyers get the impression that the home doesn’t have enough space. Your Realtor’s expertise is invaluable at this stage – remember, they’re experts in how buyers will view your home. When a Realtor recommends professional staging services, they’re using on their knowledge of the market to give you the best possible outcome. If you decide to hire a staging service, the home stager provides a list of changes to make and acts as a neutral advisor as you de-personalize your home. They may advise you to strip wallpaper, change a bold paint color, and put lots and lots of things in storage. A home stager will create a plan and help you find movers, storage facilities, painters and cleaners to get the job done. Should You Stage the Home Yourself? If you’re on a tight budget, it’s fairly easy to find tips on how to stage your home, and handle the project yourself. Just be sure to factor in your own time, and consider whether you have the resources to get the work done. If you already have an attractively-furnished home, your listing agent can offer expert advice on staging techniques to make your home more marketable. 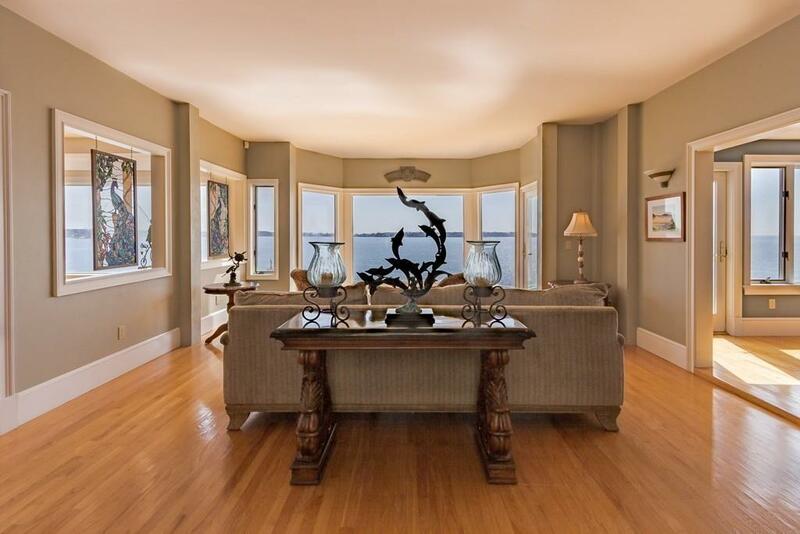 They may even recommend a professional home stager for a walk-through consultation. For a small fee, you’ll receive professional advice and a plan that you can implement yourself. Demand for home staging services has increased dramatically in the last several years, as statistics show that staging helps properties sell faster. According to the National Association for Realtors, staging increases the sale price of the home anywhere from 1 to 15 percent. If you’re living in the home, a faster sale avoids the stress of keeping a spotlessly clean home for weeks, or even months, while it’s for sale. When you factor in the cost of carrying an empty home while it’s on the market, including home staging in your selling plan makes good financial sense. If you are interested in staging your home, contact one of our realtors at (781) 593-6111 to review your options and discuss whether staging is right for your home and budget. Known as one of the great yachting capitals of the world, Marblehead Harbor has been a center of classic shipbuilding and waterfront life since the Revolutionary War. While these days the rocky shoreline is lined with stunning homes, Marblehead still remains true to its seafaring roots. Five yacht clubs line a sheltered harbor full of boats of all types – from fishing dinghies to historic schooners and globe-circling sailing yachts. Local shipbuilders and sail makers keep the art and craft of classic wooden boat-building alive. Summer in Marblehead Harbor is a bustling scene, as local sailing regattas compete for space with kayakers, paddlers and fishing charters. If you’re not a boat owner yet, you can set sail in one of Atlantic Charter’s well-appointed sailboats for the day, or book a weekend sail around the outer islands. You can even charter a historic Schooner built for Gen. George Patton. 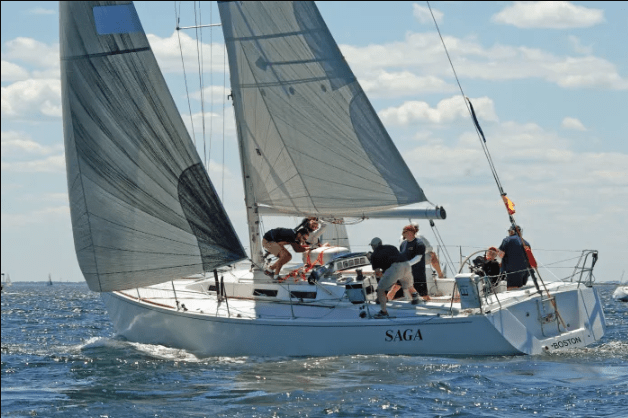 Or, dive deep into the local sailing scene by joining the annual Marblehead to Halifax Race. Joining a yacht club will give you access to launches, boat slips, storage, and a clubhouse where you can meet fellow sailors and learn more about local conditions and events. 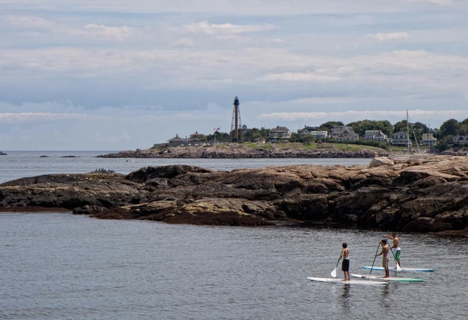 Summer fun on the water includes puttering about Marblehead’s coast by standup paddle board and kayak. Pull ashore on Crowninshield Island, an uninhabited island that marks the entrance to Marblehead’s Little Harbor. Explore the rocky shoreline on the ocean-side, and a sandy beach and salt marsh on the cove-side. Before paddling home, be sure to hike the short loop trail that leads to a great view of the harbor and 17th-century Fort Sewall. If your family loves paddling or kayaking, check out the Paddlers Membership at the Dolphin Yacht Club. You can store and launch your equipment from the club, and join up with other members who share your love of the water. The club’s waterfront restaurant is a popular local dining spot, with expansive views of the harbor. Marblehead Harbor’s rocky islands and inlets are just perfect for exploring, and you don’t need your own equipment. Just north of the harbor you’ll find Little Harbor Boathouse. Protected by Crowninshield and Gerry’s Island, it’s an ideal launch point. They sell and rent a selection of Hobie Kayaks and Stand Up Paddle Boards, and their summer programs will have your kids paddling in no time. Try out their easy pedal-kayaks, or fish the quiet coves from a well-equipped fishing kayak. Kayak fishing is quickly becoming a popular sport for anyone who loves to fish. Here you’ll catch striped bass and bluefish while exploring the productive fishing areas in and around Marblehead, known as the best fishing town in New England. It may begin with your first dinghy as a child, a weekend paddling trip, or a sunset sail; it can end with a lifelong passion for fishing or an annual pilgrimage for the summer regatta season. But life on the water in Marblehead offers every opportunity for what’s affectionately known as “messing about in boats”. And if all of this activity is too much, you can always take a break at Devereaux Beach, catch some rays and indulge in some ice cream from Lime Ricky’s Beach Shack. If you’ve always dreamt about living on the coast, don’t wait to live your dream! 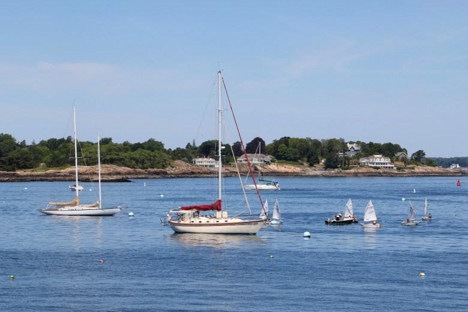 Marblehead is the ideal community for those who share a love of the ocean. Contact one of our Realtors at (781) 593-6111 to view homes for sale in this beautiful, historic town.